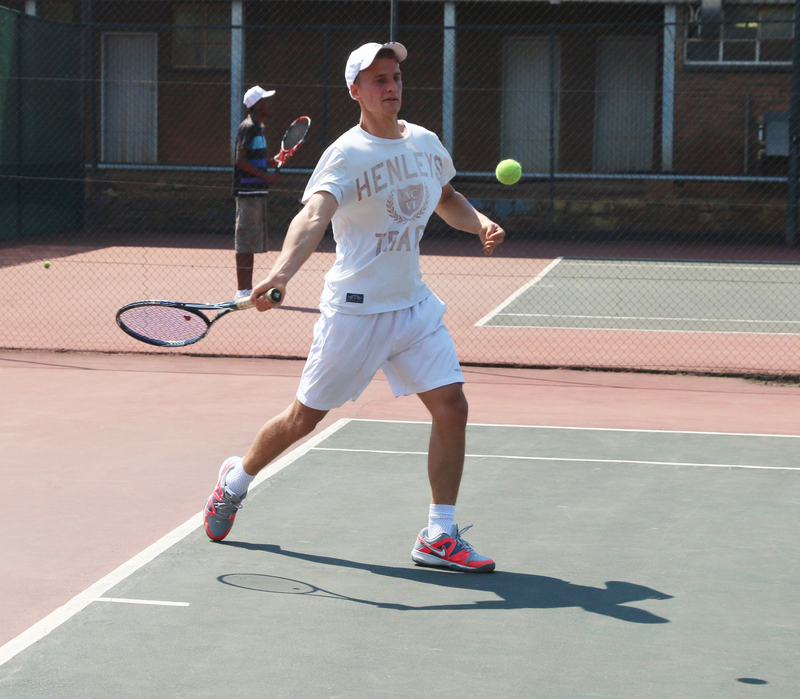 In a scorching battle for the top spot, a Wits student outplayed his coach at the men’s final of the Wits Tennis club championships, earlier today at the Bozzoli tennis courts. Third year BCom Law student, Adam Gordon, was quick to take the lead over Wits head tennis coach, Byron Werbeloff (23). Gordon finished the first set 6-1. Werbeloff fought hard to recover but conceded the second and final set 6-4 to Gordon. Despite his quick victory, Gordon felt he could have done better. “It feels good. I did what I could to win, it helped that I remained consistent.” He added: “I didn’t play my best tennis, I should have been more aggressive”. Werbeloff also felt he could have been more aggressive in the game. Tennis club tournaments are open to all members and this is why Werbeloff could play in the championship even as a coach. Werbeloff however gave his second place to student Rishay Bharath, 2nd year BSc mechanical engineering, saying “since I am the coach I would rather have one of my students take the win”. Witsie Mike Stephansen, 3rd year BAccSci, was placed third. The Wits tennis club has “raised record numbers of tennis players” and is one of the top five university clubs in the country, according to Werbeloff. A wooden racket tournament will be hosted in October to raise funds for the team, possibly for bursaries. The club hopes to revive tennis and reach the number one spot in the country. The Women’s finals will take place on Tuesday at 5pm, at the Bozzoli tennis courts.